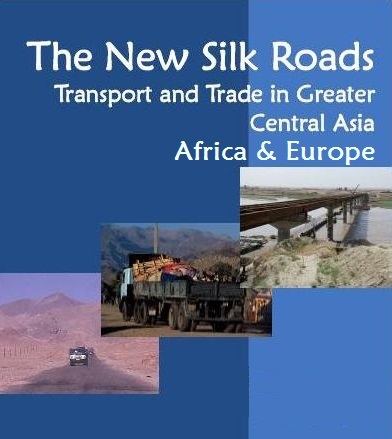 JNN 08 Nov 2014 Beijing : Beijing says it will spend $40 billion to revive the historic Silk Road and connect China with Central Asia, the Middle East and Europe – but this time, China will be the global power flexing its economic muscles. Chinese President Xi Jinping said the ambitious project is designed to “break the connectivity bottleneck” in Asia, state media quoted him as saying during a meeting in the Chinese capital with leaders from Bangladesh, Cambodia, Laos, Mongolia, Myanmar, Pakistan and Tajikistan. The Chinese leader made his comments ahead of a separate summit of the Asia Pacific Economic Cooperation (APEC) organization, also being held in Beijing. Xi first raised the idea of a “New Silk Road Economic Belt” in September 2013 in an effort to gain easier access to global markets. The plan incorporates both a land route and a sea route. The land-based Silk Road is expected to start at Xi’an, the capital of Shaanxi province, located in northwest China, eventually heading southwest across Central Asia, the Middle East and Europe, Xinhua news agency reported. The Maritime Silk Road is planned to start near Guangdong on the South China Sea and move to the Malacca Strait and the Indian Ocean. From there it will traverse the Horn of Africa, heading into the Red Sea and Mediterranean. Both the land and maritime trade routes will end in Venice, a trading powerhouse in the times of medieval adventurer Marco Polo, when Europe sought to open up trade routes to Asia. The project shows China’s newfound desire to invest in projects outside of mainland China. “Previously, China focused on attracting foreign investment, but now the shift is being made — China’s more and more encouraging its capital to go abroad,” Feng Yujun, senior researcher at the China Institutes of Contemporary International Relations in Beijing, told Bloomberg Businessweek. China will also create along the new Silk Road 20,000 centers devoted to training “connectivity professionals” over the next five years, Xi said. This entry was posted in Asia Pacific, Europe, Middle East and tagged Africa, China, Chinese President Xi Jinping, Europe, Old Silk Route, Silk, Silk Road, Spices. Bookmark the permalink.